Just HOW strong is the SuperREEL? With the all new SuperReel™ taking the spray market by storm, TTI’s R&D team decided to see just how much this electric reel could pull! A local farm provided the perfect testing grounds, with long stubble and harsh terrain. 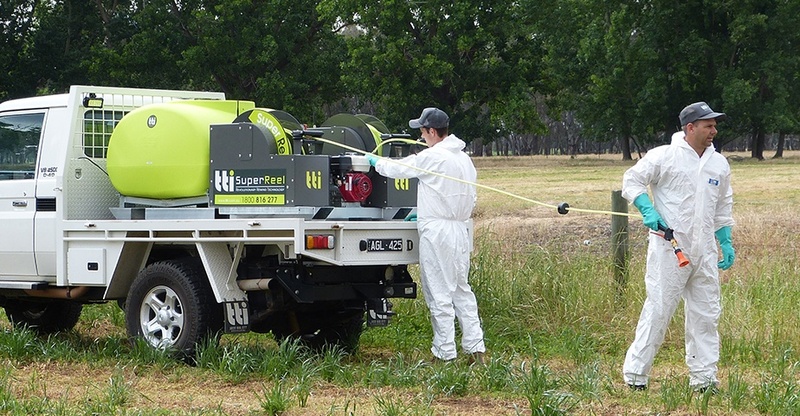 After pulling the hose out 200m through thick stubble and mud ruts, holding only the spray gun, we were ready to see if the SuperReel™ was up for the challenge. Was it ever! 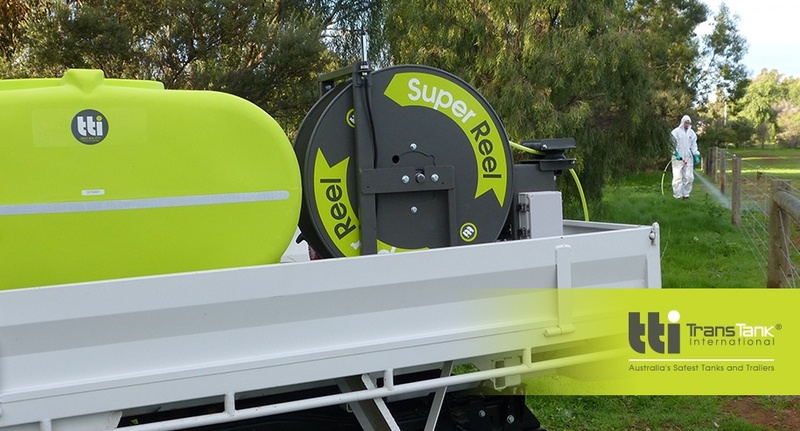 With the operator 200m away, hose wrapped around stubble and exiting at a right angle out of the reel, the SuperReel’s powerful electric motor came into life! Not only did it wind the hose in with ease, it PULLED the operator, who was trying to stop it rewinding. 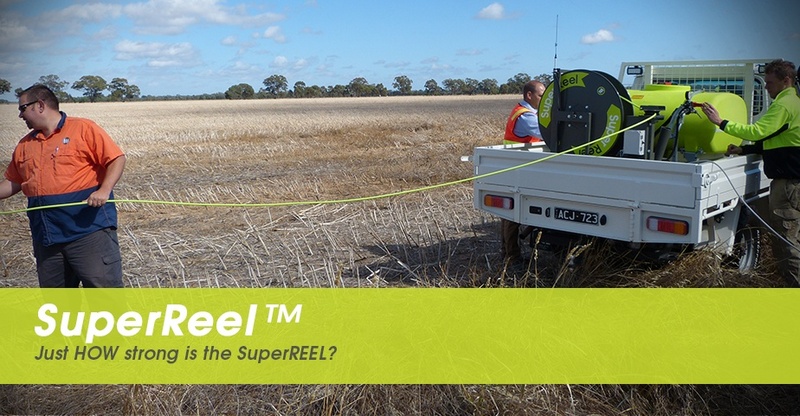 » The Super-reel is capable of assisting a man 200m away to get back to the vehicle – this would be ideal in hilly country. » The anti-kink spray hose lives up to its name! Even with the hose coming out at right angles to the reel, wrapped around stubble and under extreme tension, it didnt even look like kinking. 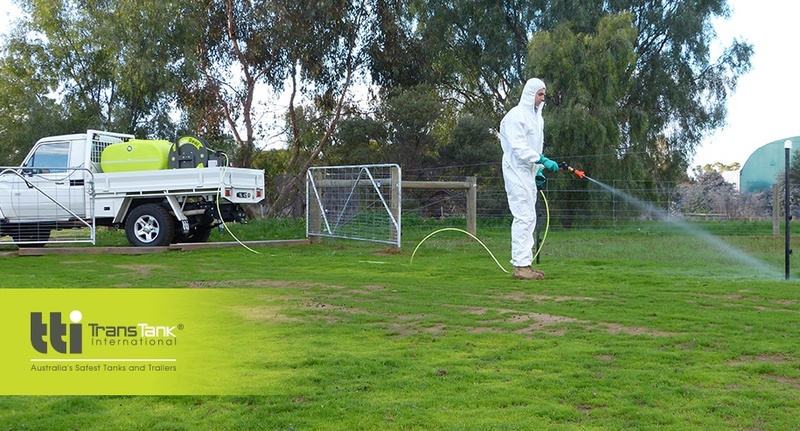 » Efficiency is #1 – The speed at which you can unwind, deploy the spray and retract up to 200m of hose is unmatched in the industry. The remote control makes rewinding the hose a pleasure, with the hose rollers guiding the hose perfectly back into place. 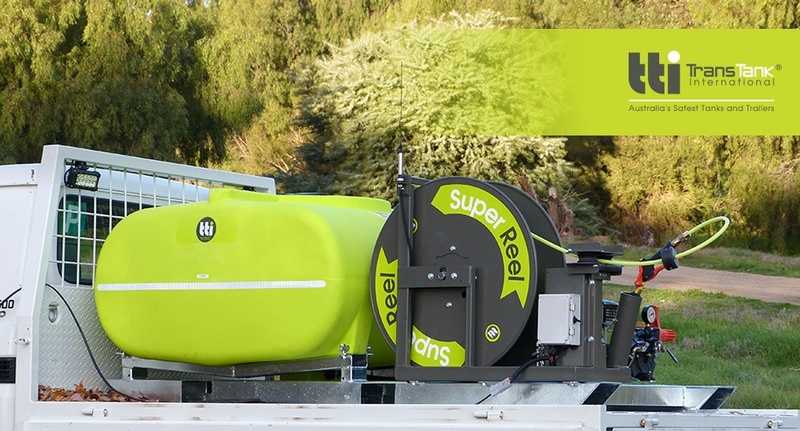 Check out some pictures below of our R & D team testing the Super-Reel! Keen to find out more? 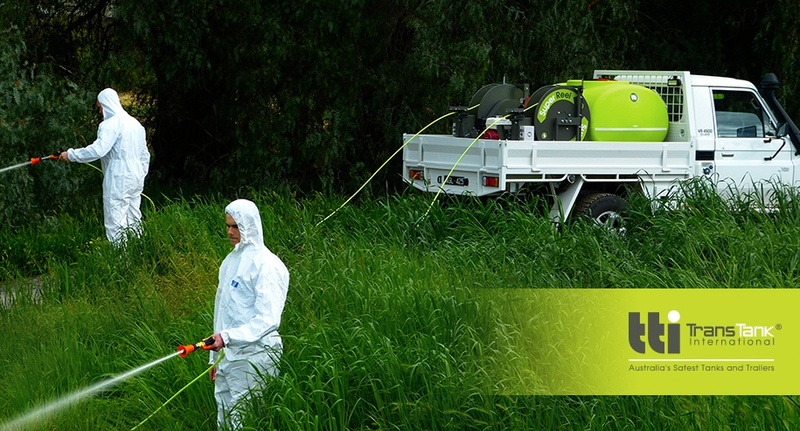 Check out the full range of sprayers here.